Reviewing the Fresh Line's Chocolate and Vanilla Set is something I wanted to do ever since I won it at the Beauty Bloggers Event in Athens last month, also many of you asked me to do this review, but first I wanted to try every single one of the products to have an overall opinion on them. Fresh Line, for those who don't know, is a greek brand that sells fresh and homemade cosmetics, very silmilar to Lush Cosmetics. They do not test on animals and their products are free from parabens, SLS, silicon, mineral oil, phthalates and synthetic colors. Since I was a little girl I loved going into a Fresh Line store and smelling all the divine scents from their soaps to their fizzing balls. My personal favorite product from Fresh Line is their soaps, I think they make the perfect handmade soaps, very creamy and moisturizing and they lather up amazingly good. The price is 26 euros. This is a simple shower gel, I wouldn't say that is very moisturizing, definitely not as much as the soaps are, it does smells like chocolate, not overpowering though, and it has a runny texture. Not my favorite product from the set, just because I prefer the soap more, but I still like using it for a quick shower. 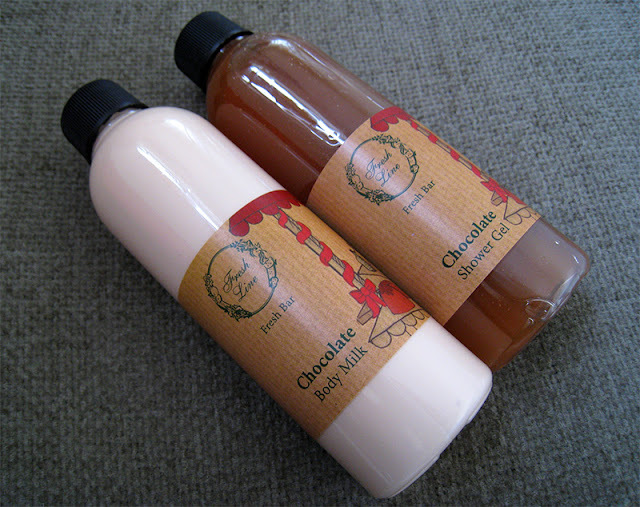 This is definitely one of my two favorite products from the set, it doesn't smell like the shower gel, it has a chocolate-praline scent, and the praline makes it so yummy! It's not a very moisturizing body milk, but then again it's a milk not a cream. The consistency it's very watery, you have to be careful when you pour it on your hands because you can easily cause a mess, like I did the first time I used it! It would be better if it came with a pump but that's OK. For those who have normal skin and not dry, they will definetely love it, it absorbs quickly without feeling your skin being sticky, and you can still feel your body moisturized. It's the perfect body moisturizer for summertime also, and they have a peach and a pomegranate one, I think these scents would be perfect for summer! 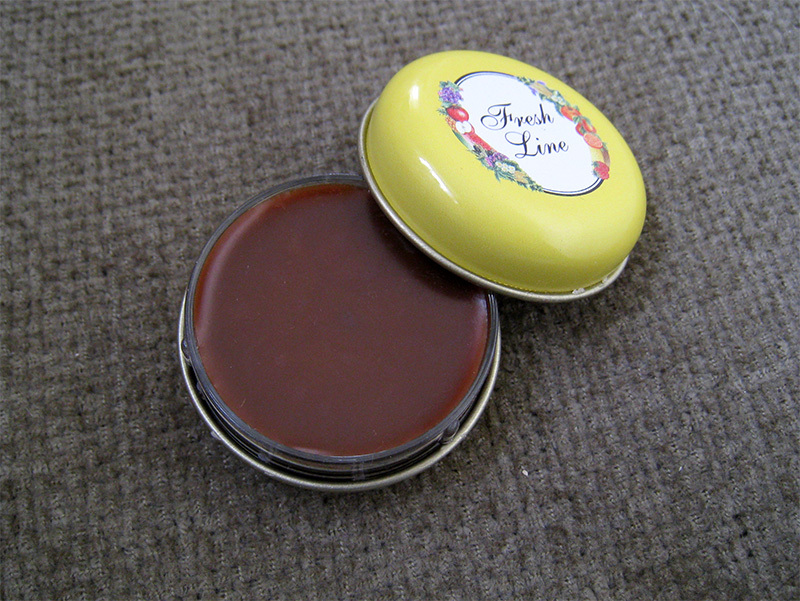 As I mentioned above, Fresh Line makes the perfect soaps and this one is no exception! I prefer it way more than the shower gel, it lathers up like a dream, again not very moisturizing but that's propably because it's a glycerin soap and I still haven't found a glycerin soap that is very mositurizing. When you first smell the soap, it literally smells like a bar of chocolate, so for those who are chocolate lovers I'm pretty sure you'll love it! I cannot describe how much I love this soap, definitely the best product in the set, hands down! First of all the smell, it smells so divine, like pure vanilla goodness! Not the overpowering and sickening vanilla scent that most body products have, this one has more of an elegant woodsy vanilla one. 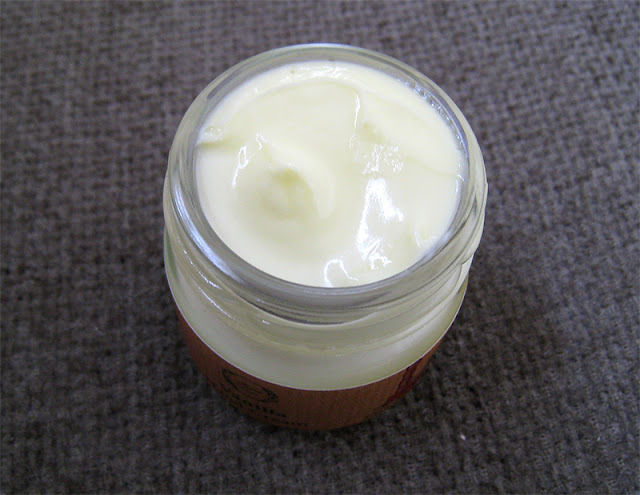 It's super moisturizing, and it lathers up really good, it creates a mousse type of lather. It's such a shame that Fresh Line does not include this soap in their regular line, I hope one day they will! Please Fresh Line, make this incredible soap permanent! OK so I really wanted to like this product, I really did, but the scent is just so bad that I couldn't! Even though the texture of the cream is superb, very creamy and moisturizing without being very heavy, the scent just ruined it all. 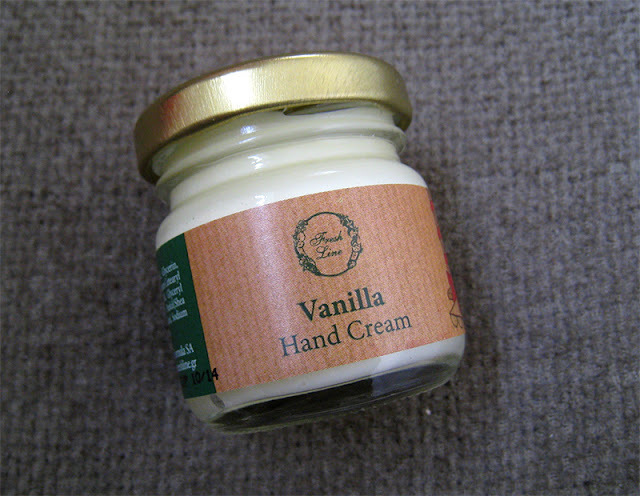 From the jar you cannot tell the bad scent, it certaintly does not smell like the Vanilla Soap, but whenever I was using it on my hands it had that really bad vanilla scent, more like a mouldy vanilla one. I don't know why, maybe is just me but it didn't work! I suggest you try it first on your hands before you purchase it, who knows it may work for you. I love fizzing balls, I've purchased quite a few from Fresh Line and Lush, and I have to say that Fresh Line's fizzing balls are way better than the ones from Lush. They're very moisturizing, you can easily use half of it for your whole body. 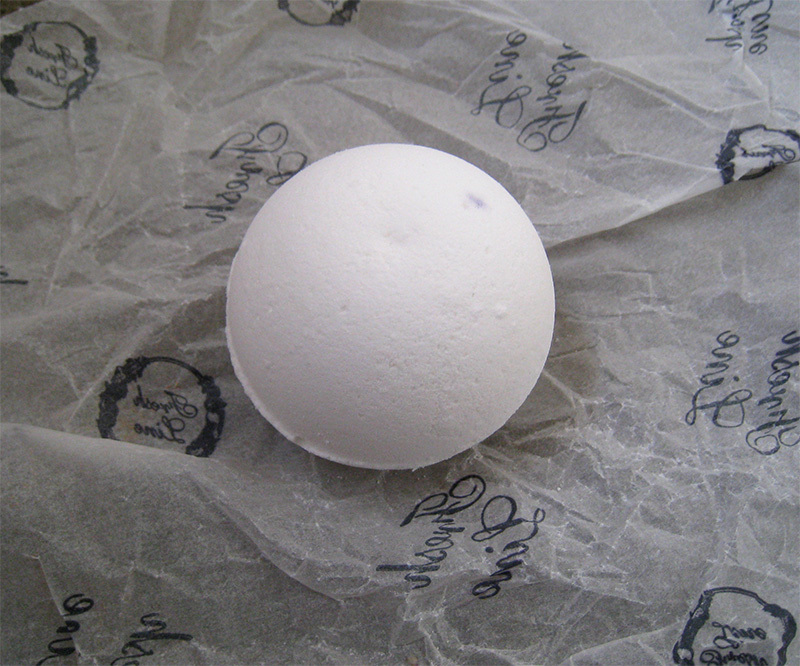 The best part of this fizzing ball is that it smells exactly like the Vanilla Soap, so you can understand how much I love it, also its aroma is very strong and your bathroom will smell like vanilla for hours! And once again Fresh Line does not have this fizzing ball in their regular line! This is a chocolate flavored lip balm that really surprised me on how light it feels on the lips and still moisturizes very good! I would prefer if it would be a vanilla one since I don't like chocolate flavored lip balms but nevertheless is a very good lip balm, a very high quality one I should say, and because it's very lightweight it's perfect to use as a base for lipsticks. 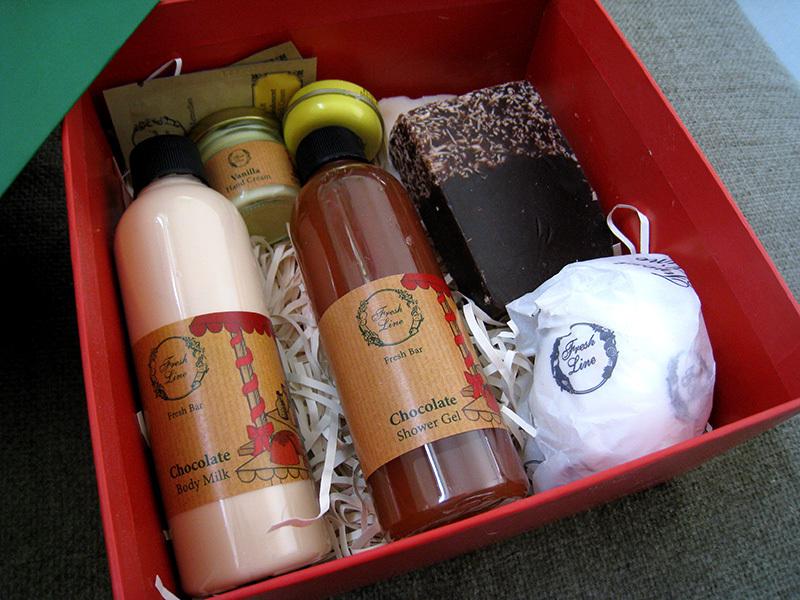 I think the set is still available in the Fresh Line stores and counters, so you can go and check out the products! You can also find Fresh Line stores outside Greece, in Cyprus, Germany, Russia, Ukraine, Albania, Turkey and Armenia, for more information you can check out their website here. Have you tried any products from this set or any Fresh Line products in general? Did you like them? I remember always purchasing something a long time ago from Fresh Line, which made me thinking why not now? I'm really intrigued for the soaps!! And you are so right they are the best in natural ones! 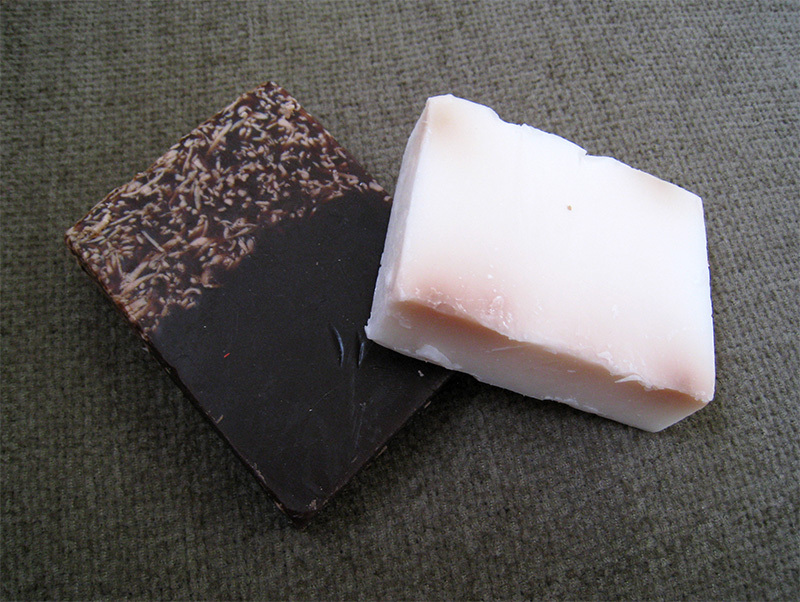 You should try the soaps, they're amazing, even the one for little girls, it's a pink one, I think it's called Electra. Η κρέμα χεριών είναι όντως χάλια..Έχει υπερβολικά έντονη μυρωδιά!Ούτε στα πόδια δεν άντεχα να την βάλω ,μην πάει και χαμένη! Ευτυχώς δεν ειμαι η μόνη! Πράγματι έχει μια πολυ κακή μυρωδιά, κρίμα γιατί αν είχε τη μυρωδιά του σαπουνιού θα ήταν τέλεια! Thanks!! Κ εγω προτιμώ τις ουδέτερες μυρωδιές. Θέλω τόσο πολύ να δοκιμάσω αυτό το σετ..Λατρεύω αυτές τις μυρωδιές! Πηγαινε τσεκαρέ το στο μαγαζί, νομίζω έχουν κ εκπτώσεις τώρα. I have to try their fizzing balls! Ooooh you won good stuff!!! Thanks! You should, they're amazing! a review in great detail - really wants to make me test it, too! oh lord..τα θελω ολα!! awesome review Sophia mou! Awww thank you! You should try it at the store to see if you like it!